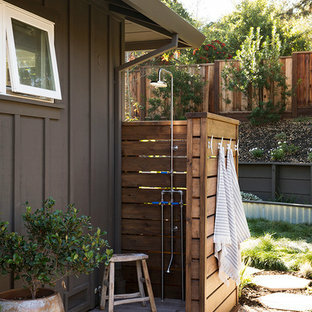 By Ed Leimgardt Contracting Inc.
A necessity for every beach house is an outdoor shower. 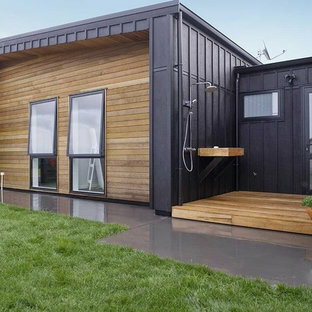 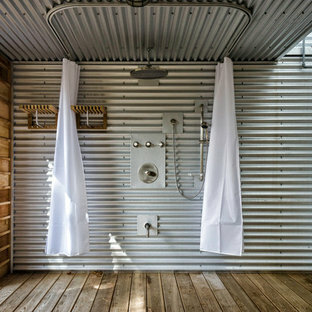 Corrugated steel clads the walls of this outdoor shower to create an industrial outdoor feature. 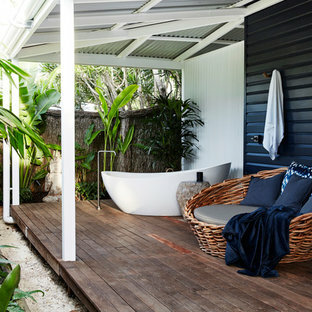 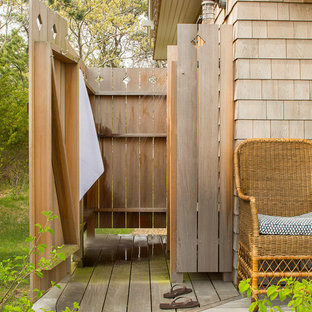 Located under the main deck, this outdoor shower provides home owners with a great space to rinse off after a day on the sandy beach and prevents sand from being tracked inside.